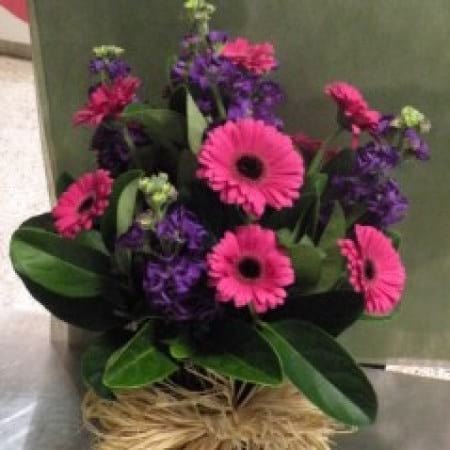 The Angela Arrangement is a bright and colourful box arrangement with happy mixed gerberas, emile and filled with gorgeous lush green foliage. This arrangement is the perfect way to put a smile in a day, and will fill any room, function, hospital or office with joy, a gorgeous design from Amaranthine Flowers By Design New Lambton, Newcastle. Same day delivery available to all areas of Newcastle and Lake Macquarie, including John Hunter Hospital, Newcastle Private Hospital, Charlestown Square, Lake Macquarie Private Hospital, Westfield Kotara and Mater Hospital.